Sugarbush Valley: An ideal life: Frustrations and Predicaments! 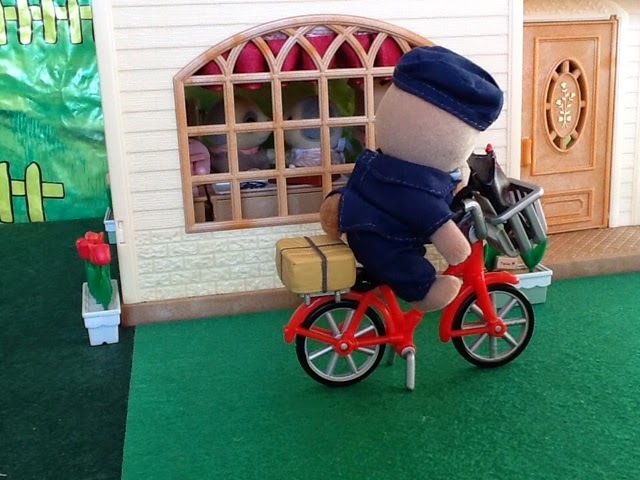 It was Thursday afternoon in Beechwood Hall and Pete was preparing for his delivery rounds. 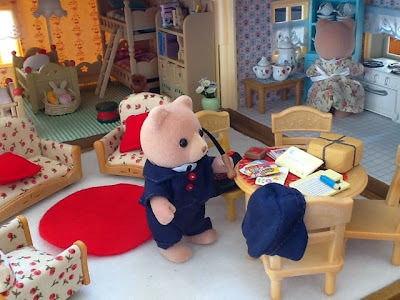 He felt much better than that morning, as he indeed managed to take a quick nap and had a hearty breakfast that Margaret made for him after he returned home. 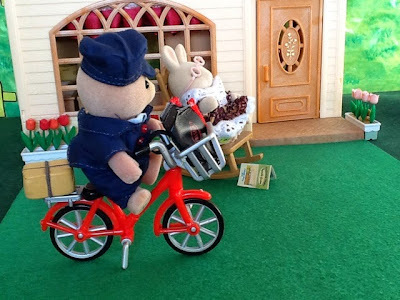 He did however felt immediately tired and exhausted when he scanned the mail to be delivered. Hatty Huckleberry, Nelson Puddleford and Katrina Whiskers all in one go. To his surprise there was also a letter for Edward Mulberry. How was that possible? He only arrived in the Village that morning. Pete gathered his bag and left the letter for Edward on the counter. He already has an exhausting day ahead he is NOT going to make the long trip out of town to the Mulberry plot, where Edward is now also staying. Pete know it was not very ethical, but sometimes he held back the post for the outlaying areas at least until he has more letters or parcels to deliver, but in his defense he never keep it for more than two days. 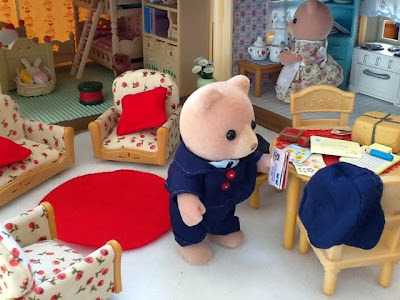 At the last second, before he said goodbye to his darling Margaret, Edward's letter caught his eye, and he quickly grabbed it and stuffed it in his bag. Maybe he will bump into Edward. He can deliver it at the laundry, but that will be unprofessional as he hasn't made and arrangement with Edward to do that. He decided to start at the bottom of Sugarbush drive, where all the Cedar Terrace (CT) houses are springing up (Alonzo Macavity has been busy with this project for a while now), then he will make his turn into Village street where all the shops are and the stores with the apartments on top, and finally he will ride down Valley road with all its vintage buildings. He will end in the square and just cross that to Beechwood hall. They are still living with the Trunks. He had no luck so far in finding them a house, but Kenneth Furbanks is helping him. Pete cycled passed CT 1, where the Henry-Lloyds lived. 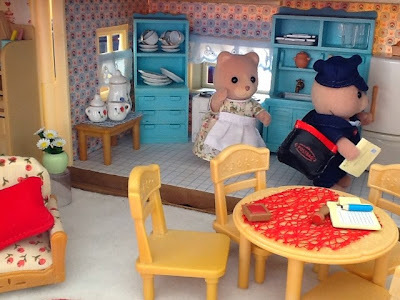 No mail for Pippa and her family today, but he was glad about that as he could see Antonio and Dorothy in the kitchen. Maybe it was the clear and quiet day, but their voices carried over to him and he could hear that they were arguing. He quickly sped up, he didn't want it to look like he was trying to listen in on the conversation. Then he passed CT 2, residence of the Periwinkles. He cringed when he saw that Mable was on the porch, but it looked as if she was taking a nap in the afternoon sun. Ahead was CT 3 where the Huckleberries and Slydales lives. 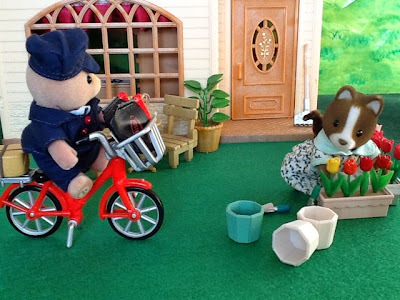 Hatty was busy in the garden. Hatty: Hello Pete, so mail for me today? Finally decided to deliver it. Pete (frowning): What to you mean Hatty? Hatty: Oh Pete, come one, I know that sometimes you hold back the mail, if you don't feel like seeing someone. Pete wanted to argue, but decided that there will be no use. Hatty never looses an argument, that is a village fact. And she is right, after all, but how on earth did she know that. Pete: Only two letters for you Hatty, one seems official. Hatty: Thank you, been waiting for that one. 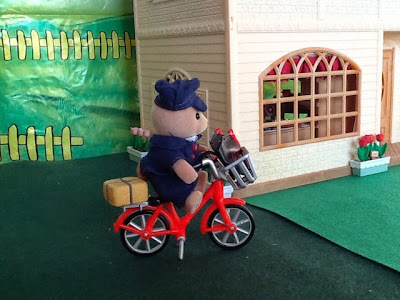 Pete: Maybe it was delayed because the mail delivery bus didn't arrive yesterday. I only got it this morning. Postman Kelly mentioned something about the bus being in for service yesterday. Maybe that is the reason where there were so many people on it this morning too. 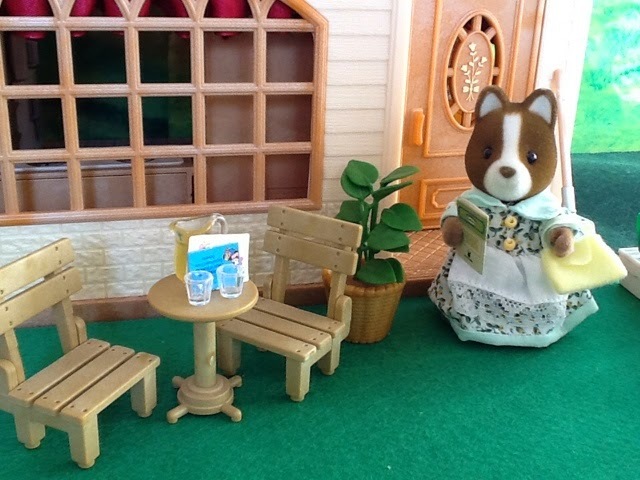 Hatty: Many people, how interesting ... uhm ... want some lemonade? Pete didn't even noticed Hatty's sudden interest in the new arrivals. He gladly accepted her offer, afterall he was still a bit fragile from the previous night, and the thirst will just not go away, even though he has already downed several glasses of water. Hatty: So who was on the bus this morning? Anyone interesting? Pete: Well sort of. 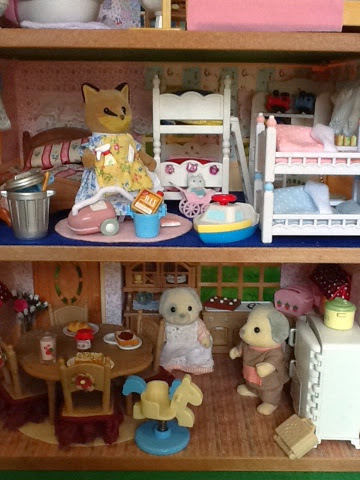 The Timbertops returned from their vacation and it looks like the Macavities have finally moved to the village. Then there was some strangers on it too... named Barker or no wait I think it was Bercher. Very classy looking family. Hatty: Interesting indeed. I did hear a rumour that Cassandra has finally given in to Alonzo's requests that they must move here. Was that all? Do you know where the Bercher family is staying? Must be in the Commune? Pete: I haven't really talked much to them. Edward Mulberry was there too, so we did some catching up. Oh and of course how could I forget! PC Bobby Roberts came with Antonio Patches too! Pete: That was my exact reaction too. Why on earth does Sugarbush Valley need a Police Constable, but I guess Hugo has his reasons. Hatty: Uhm... Pete ... you must drink up ... I just realised I had an important meeting. 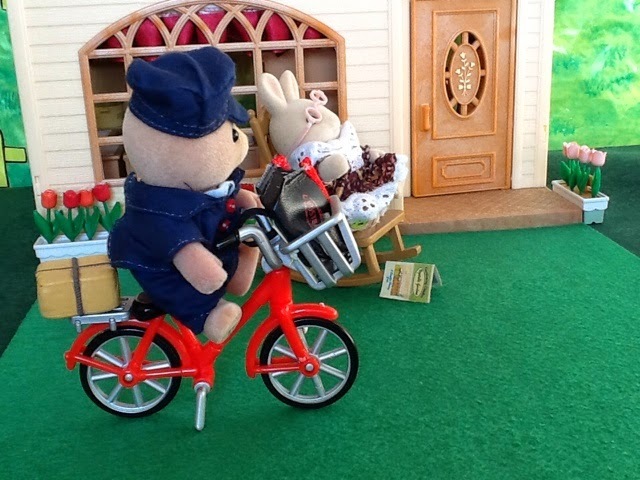 Pete was a bit taken aback by Hatty's sudden abruptness, but he knew he had to get a move on though. So he thanked Hatty for the refreshing drink and got on his bike. Meanwhile Hatty was almost hysterical with excitement. She couldn't believe that Antonio Patches actually exists and what was more that he was escorted by a Police Constable into their village. It shows that this was serious and that he indeed was a criminal, just as she expected and has told Velvette. Hatty desperately wanted to find out more. And the only way was to meet Antonio face to face, but how would she go about doing that? Then it hit her she had the perfect excuse. She gathered her things and head out, straight to CT 1, which was luckily not far away. At CT 1 she knocked on the door and as luck would have it the door was opened by the man himself. He looked quite friendly, and nothing like a criminal though, what was even stranger was that he was not cuffed, with no police constable in sight. Hatty was truly baffled. Antonio: Good morning, how can I help? 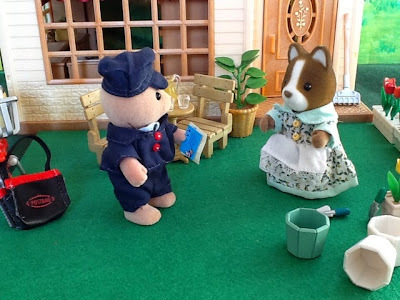 Hatty: Hi, I am Hatty Huckleberry, the school inspector. I would like to see Dorothy. Is she home? Antonio: Sorry for my rudeness, I am Antonio, Dorothy's husband. Yes she is here. 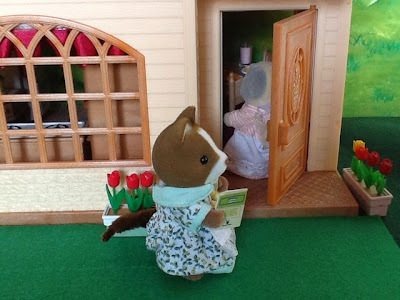 Hatty: Of course, Dorothy has talked so much about you. Antonio: Good things I hope! Let me call her. There was however no need for Antonio to call Dorothy, as she came to the door herself, with a murderous look on her face and clearly not in the mood of any visitors. Dorothy: Hatty, this is not a good time, what do you want. Hatty: Well good afternoon to you too, Dorothy. I was just wondering if we can talk a bit about Kyle. It is so great that both of you are here, it is always better to speak to both parents. Dorothy: What one earth do you need with him? Dorothy: Oh for heaven's sake Hatty. Kyle has just turned one, that is the last thing on our minds now. I am kindly going to ask you to leave now, and if you will not I will become very rude. Hatty, however, didn't finish her sentence. 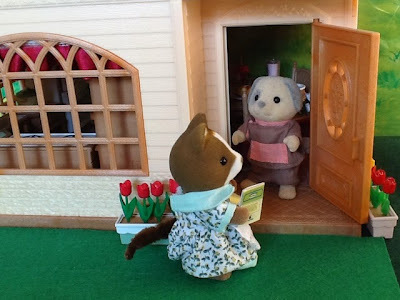 Dorothy rudely turned her back to Hatty, ushered Antonio inside the house and slammed the door shut. She made it very clear that she will not speak to Hatty now. Hatty was devastated. How on earth is she going to find out the real truth about this man, but what bothered her even more was that someone else might get the juicy gossip before she does. In the meantime Roxy Renard was in a bit, or rather a huge predicament. She has just cleaned the two top floors of the Henry-Lloyd's residence. Actually she has been done for quite a while now, but is unsure what to do next, not only has she heard Hatty's feeble attempt to stuck her nose in yet another family's live, but she has also heard Antonio's whole story. Oh how Roxy wished she could rub Hatty's nose in that bit of information. But not only is Roxy nothing like Hatty, she has bigger problems to worry about now. How on earth is she going to go downstairs to face Dorothy, after all that she has heard. It is not as if she was hiding or did the cleaning in secret. 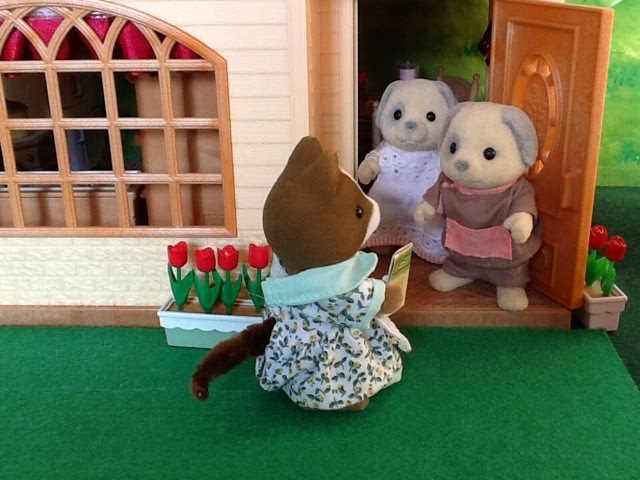 Dorothy did see her come in earlier, they even had a quick chat. Does Dorothy not care that Roxy heard it all, or has she completely forgotten about Roxy's presence in the house. 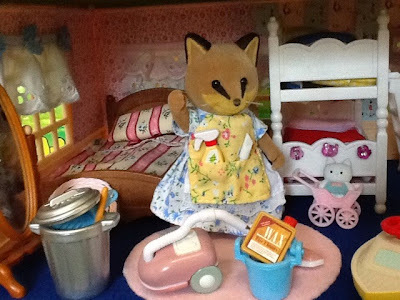 Though Antonio's story might be heartbreaking to Dorothy it is not THAT bad, and Roxy is sure that they will be able to sort it out, but it is still private and not something that you want anybody else to know.... Roxy gathered her equipment and made her way downstairs. I love your new story!!! It's so exciting and I think it's still mysterious^^. I really want to know what Antonios secret is, it sounds more the less terrible O.o. Poor Roxy, that she heard all the discussion. 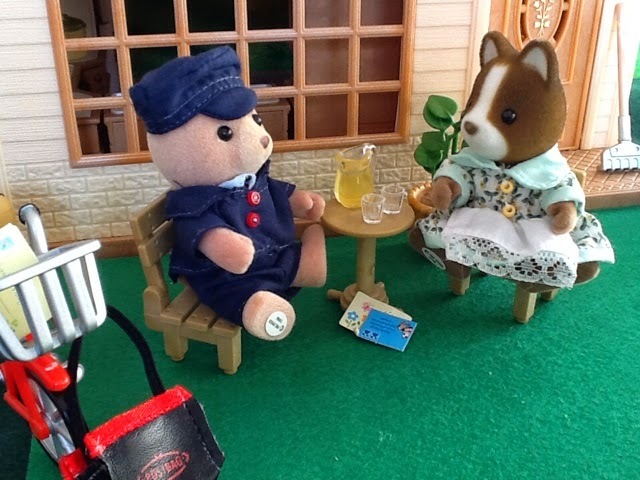 I really enjoyed the chatting between Pete and Hatty, she's such a curious person (but, how rude she throwed out poor Pete?)! I have an idea with the story, and I think most will be shocked! Except the one from which I got the idea ;-) Hatty is a real pain, and not very popular in the village. She always knows everything, even before the people involved knows it. Thought you might appreciate that part! Ive created a monster, lol. But hey all cant be nice and innocent in Sugarbush. 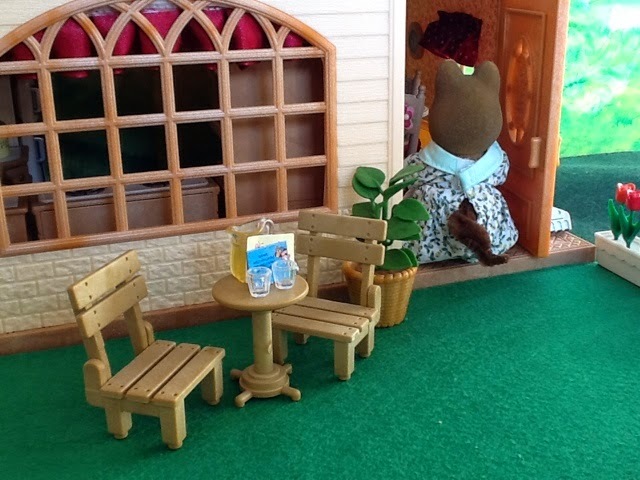 Wow, Hatty is a bit if a busybody :-0 but funny :-) what is Antonio's story?????? I need to know more!! Busy body is an understatement. You must just be PATIENT! Oh my, I dont want you to get hurt Jennifer, lol. I love all those equipment, I think the vacuum cleaner is the best part! Glad I could help S. The difference between Hatty and Mable is that Mable is loveable and nice, Hatty not so much. Oh I just love your stories! Eagerly awaiting the next installment!!!! I just love Pete!!! He was a must have for me when I saw him on the SSK website. Ah I wonder about Antonio! Can't wait to see what you have planned! Hopefully the end of this story is in sight.